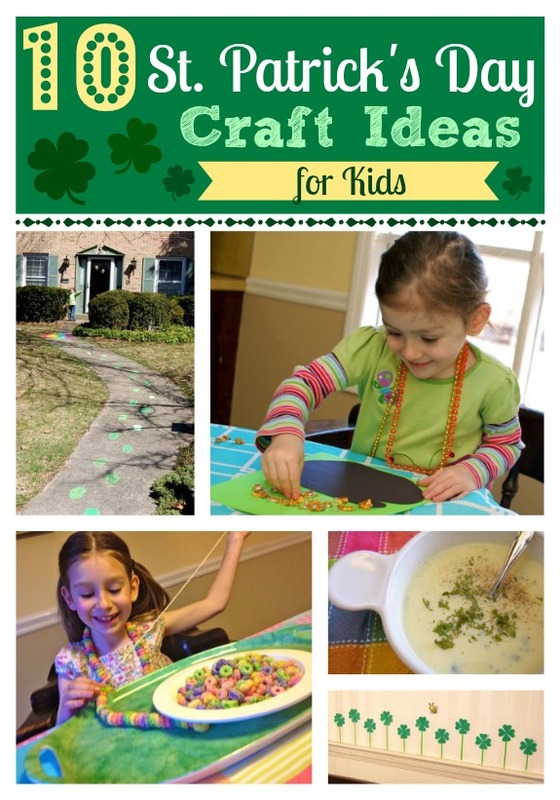 Here are ten simple and easy St. Patrick’s Day crafts for kids, using items you probably already have on-hand! 1. Colored Cereal Rainbow Necklace — Practice patterning, color recognition, and fine-motor skills with this simple activity using colored cereal. 2. Leprechaun Trap — Decorate your house as a “leprechaun trap” using sidewalk chalk. A sure way to make the neighbors smile! 3. Pot O’ Gold Suncatchers — Even the littlest crafters can help make these simple suncatchers! 4. Easy Shamrock Mural — A little masking tape can make a festive mural for St. Patrick’s Day. 5. 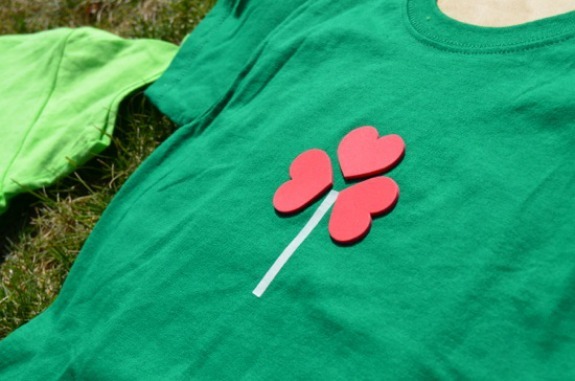 Easy Hand-Painted Shamrock T-Shirts — Show your Irish pride with a hand-painted shamrock t-shirt using leftover heart stickers from Valentine’s Day. 6. Simple Trick for Drawing Rainbows — Here’s a little trick to drawing rainbows quickly and easily! 7. Kid-Made Potato Soup Mix in a Jar — The kids can have an active role in the process of making a jar of potato soup mix to have on-hand for those rainy days coming this Spring. 8. 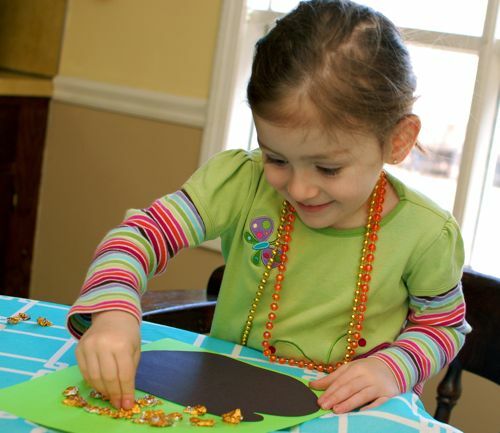 No Mess Pot O’ Gold Craft for Tots — Crafting with toddlers doesn’t have to be messy. Here’s a no-mess St. Patrick’s Day craft for tots that’s mess free (and a great excuse to eat chocolate.) Yum! 9. Easy Thumb Printed Shamrocks — Another festive craft the kids can do with very little help from grown ups. Make into cards to send to friends & family! 10. Pillow Boxes from Cardboard Tubes — A very easy way to make pillow boxes using empty cardboard rolls from paper towels. Place treats or snacks inside to gift to someone special! Wishing you and your family a wonderful St. Patrick’s Day!! You have the best craft ideas!! Thanks for sharing! I never seem to pull off minor holiday celebrations. 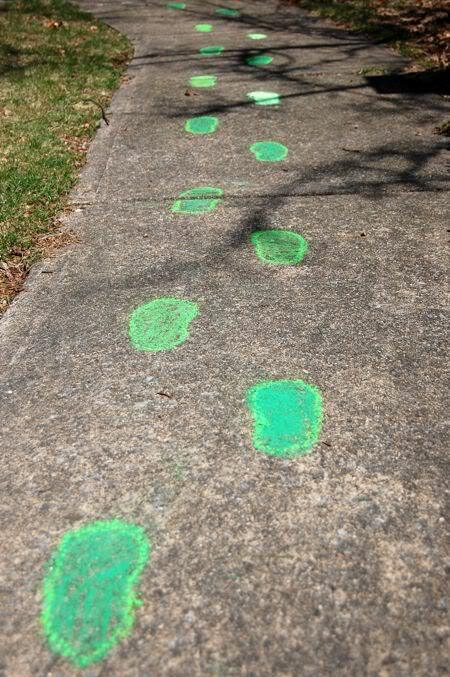 I’ve been deeply thinking of fun activities which my kids and I can do during St. Patrick’s Day. Therefore, I was really impressed by the art and craft ideas offered on this site. I’m sure that my husband will join in once he sees what the project is all about.